This is the first time I’ve read what appears to be an ongoing series – very strong characters, sometimes overwhelming the plot, and the novel turns into something else the closer we get to the crime. A serial killer with a supernatural orientation – and Sarah knows all about that from a depressive childhood that forced her to rely – as many solitary children do – on an all-too-real ‘imaginary’ friend. Close to being schizophrenic by now, she is a superb reader of the criminal mind, and especially this serial killer whose ghosts from the past haunt him … but that’s giving too much away. This is for a crime thriller reader who likes full characters, and contemplation of the psychological dimensions of the dark … certainly it’s powerful. 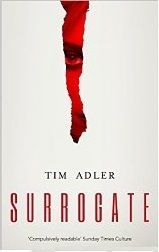 Surrogate by Tim Adler is a dark and disturbing story with wonderful plot twists and a raw immediacy in the writing style, which I loved. Told in the first person, we follow the story through Hugo’s eyes. Hugo and Emily Cox are desperate for a child, but as Emily is unable to conceive, they decide to have a baby through a surrogate. The author paints a picture of the couple’s privileged lifestyle, but it has a flaw. The lack of a child. Willing to do whatever it takes to keep his beautiful wife Emily happy, Hugo agrees to her choice of a surrogate mother. But that’s when things start to go wrong. To tell anymore would spoil the plot but I would warn readers that all is not what it seems when it comes to this couple’s surrogate journey! 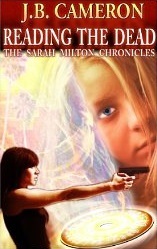 A fantastic read, easily worthy of ethriller of the month. 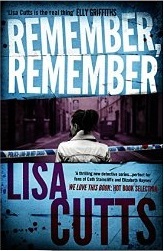 I have not read any books by Lisa Cutts before, but now I am seeking out her other novels. I was hooked from page one; this is a really absorbing police crime novel.The main character DC Nina Foster was attacked by a criminal and has returned to work but has been damaged as a result of this. She has her own demons to deal with and is a complex character. Initially she is given what appears to be a boring cold case from the 60s, but as time goes on and the investigation progresses there are several strands to this. The investigation takes several turns and delves into a seedy world of criminals. Although Nina’s character is complex and sad she is likeable and the reader is left wanting to know about her sister. This is a DC you would want to fight your case. I can see this as a series and would sit well as a major television drama. I am looking forward to the next book. This is the latest volume from a major author. A bestselling writer is killed, and it emerges the perpetrator has a longer history with him than the detective knew. Before he can allow the confession he has to look into why. 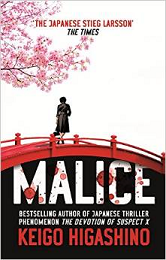 ‘Malice’ is absolutely rivetting – i could not put it down – even when i began to get irritated at what seemed (initially) tedious enquiries of our criminal’s past – because before we’ve reached halfway in this skillfull novel, we know who did it – but, luckily, not for the criminal, who wants to be caught but for us as readers in this fascinating tale of unreliable narrators and witnesses trying to recall a long-ago past, Japanese criminal cases need to ascertain motive – and the obvious motive is not convincing – our detective finds out exactly what that motivation is and it is buried not only in the past during brutal school days but in the vicissitudes of human malice – you do these things ‘just because’. Utterly readable compelling work – I highly recommend it but you have to block several hours out because you won’t be able to put it down. And the most ironic thing is, you already know who did it!